This past week Hulu released their Fyre Fraud documentary. The documentary was about one of the biggest festival flops that happened back in 2017. While watching it the other day, the psychology major in me couldn’t help, but do a little psychological analysis with this review. The Fyre Festival was supposed to be this huge festival in the Bahamas that was curated and organized by William “Billy” McFarland and Ja Rule (yes, him). Ja Rule was supposed to be the face of this flop while Billy handled the logistics and financial aspects of everything. It was pretty obvious that McFarland was aiming to grab the attention of a certain population for this event. He wanted to catch the eye of those who were affluent, influencers, young, white and ready to spend money. 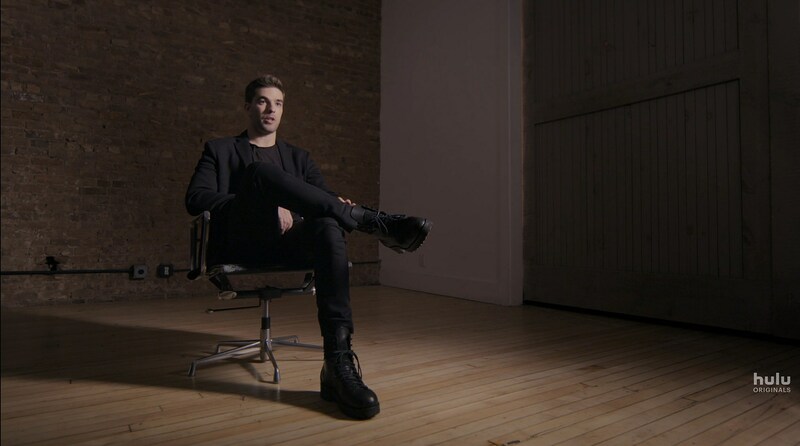 The documentary gave you some background on Billy McFarland. He was featured in it as well so he event gave a firsthand account of some of his (failed) business ventures. He had a credit card company that he claimed to have started by ordering thin sheet metal online and taking the strip from his own credit card in order to make it work. That sounded very illegal, but whatever. He claimed to have hundreds of thousands of cardholders. McFarland had promised cardholders that by paying the $250 annual fee they would gain access to private members-only concerts/events, tastings with notable chefs and exclusive art previews at top galleries. He even had oil tycoon, Aubrey McClendon invest a couple thousand into his card business. However, McClendon turned out to have some shady stuff going on with himself and then ended up mysteriously dying during his investigation. At this point, Billy is strapped for cash. He started living beyond his means in NYC with virtually no means. He starts doing ticket scalping, money flipping and wire fraud. However, all of this is probably unknown to the people who decided to buy tickets to Fyre Festival. A large group of naïve people bought into this music festival that was supposed to be set on the beautiful island of Exuma, Bahamas. Billy had advertised and sold it to them as this exciting experience filled with beautiful women, yachts, villas, great music performances and gourmet meals. He had celebrities, models and influencers promote the event on Instagram all of whom had been paid to do so. However, when the attendees arrived on the island it was nothing like what they had seen posted on Instagram. There were cargo containers all over the place, a limited number of tents for people to sleep in and sandwiches instead of the gourmet meals they paid for. These people spent thousands of dollars for admission which doesn’t include airfare. The whole ordeal led to a criminal investigation by the FBI and a 100-million-dollar lawsuit. During the filming of the documentary you could tell that the implosion of the festival didn’t have any effect on his ego at all. His ego was larger than the room. He was wide eyed and fast talking until he was asked something that his lack of accountability couldn’t allow his mind to process. I believe there was even one point in the documentary where he stated that he didn’t do anything wrong. He had convinced himself as well as his girlfriend that he just had an idea that wasn’t executed properly and that’s what he was willing to take accountability for. McFarland came off as the textbook version of a sociopath. When it comes to psychopathy in order for someone to be diagnosed, they must display a cluster of traits that form the core of the antisocial personality disorder. Some of the symptoms/behaviors that I picked up on were pathological lying, lack of remorse or guilt, parasitic lifestyle, irresponsibility, glibness, and serious criminal behavior. He clearly lacked empathy and was completely disconnected from how he affected the lives of many people including the Bahamians he owes thousands of dollars. Also, his glibness was another thing. You could tell that he thought was charming and witty by the way he spoke about all of his failed attempts to be an entrepreneur. McFarland sold tons of people a dream of a festival and some yet another business, but this time he couldn’t just get by. Another thing that I notice was some obvious signs of substance abuse. The whole flop of a festival was proof of his parasitic lifestyle. McFarland manipulated hundreds of people, was financially dependent on scams, lacked self-discipline and failed at completing his responsibilities. He seemed to have erratic thinking as well, which could be attributed to substance abuse like alcohol and cocaine. I definitely think you all should check out this documentary on Hulu. Netflix has one as well, but they’re told from slightly different perspectives. I hope my review and analysis was a good read for you.